Some people stop scuba diving when they become parents, but those in the know get their kids blowing bubbles and dive in year after year. Scuba diving teaches kids valuable skills like working with a buddy, spacial awareness, and respect for the environment. Not to mention, seeing a turtle, octopus, or other sea creature in their natural environment is truly magical – at any age. 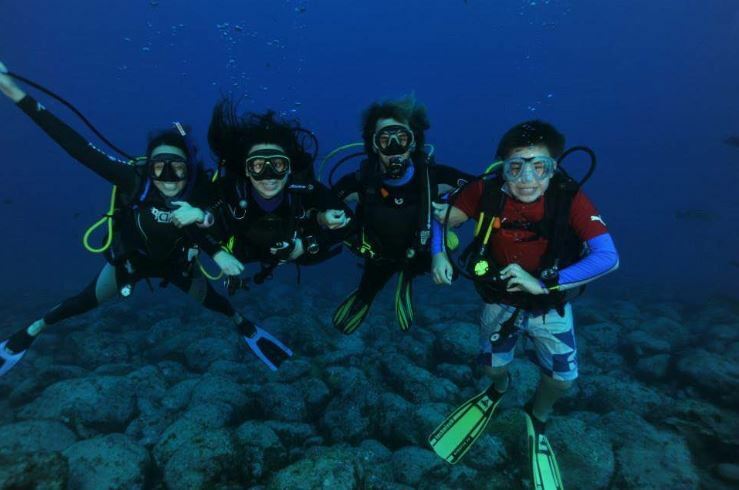 Scuba diving is a fun family activity, and an increasing number of top scuba diving destinations are welcoming families. Here are a few tips to ensure your next family holiday is the best. vacation. ever. The easiest way to ensure your family vacation goes smoothly? Choose a destination that caters to families. The Cayman Islands has a dedicated page on their website for families who dive. Beaches Resorts offer scuba diving for both kids and grown-ups. On Bonaire, PADI Dive Shops Buddy Dive and Dive Friends Bonaire offer scuba diving programs for kids. Aggressor Fleet has two family weeks each year. …and Kids Sea Camp offers a year-round schedule of rotating destinations. If you already have a destination in mind, follow the tips below to avoid saying non-family-friendly words during your family vacation. It’s important to tell the dive shop you’ll be bringing junior divers along and what their ages are. The dive staff will appreciate the advance notice! Divers from 10-15 have different depth restrictions, and not every dive site is appropriate for kids. – Ensure the dive shop has wetsuits, BCDs, and other equipment that will fit smaller people. – Confirm the operation offers guided dives and their divemaster-to-guest ratio. – If not everyone in your family dives, find out if snorkeling or other non-diving activities are available. 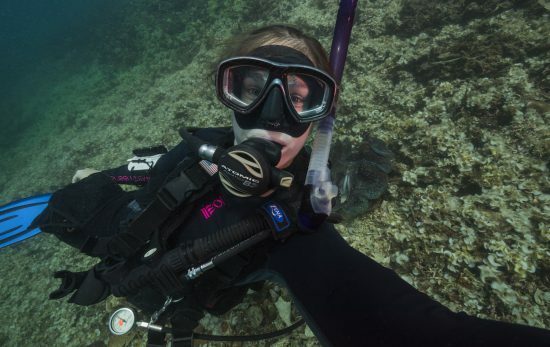 Both adults and children should only dive with gear that’s been regularly serviced by a professional. 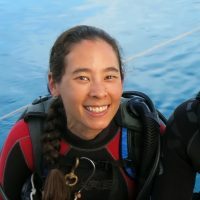 Staying at a resort with an on-site dive shop can save your sanity, especially if you have family members that frequently forget their sunscreen, water bottle, etc. Being able to run back to the room to retrieve a forgotten item can make life easier. Apartments or vacation homes are an increasingly-popular option. Having a kitchen saves money, and international grocery shopping makes a fun topside activity. Non-diving days (planned or unplanned) are a great opportunity to enhance the travel experience. Choose at least one day where everyone has to try something new – a food they’ve never tried, or an entirely new activity. Use an online BINGO card generator to make a game out of exploring. Utilize birds, flowers and famous landmarks to fill in the spaces. If appropriate, plan the game around a short road trip. Consult your healthcare provider at least eight weeks before travel to ensure everyone receives any necessary vaccinations. Be sure to pack sunscreen, bug repellent, and medication for motion sickness. Bring chewing gum to help kids equalize their ears during air travel. If children have different last names than the adults they’re traveling with, contact the airline in advance. Pack everything you’ll need for the first 24 hours in a carry-on. If this isn’t possible, distribute key items in different family members’ luggage. So if Mom’s suitcase gets lost, she’ll at least have clean undies and a swimsuit in someone else’s bag. For little ones, a favorite toy can be comforting in an unfamiliar place. Unplug! Have an agreement about if and when cell phones, tablets or other internet-connected devices can be used. In case of emergency, DAN insurance is highly recommended and family plans are available. A good way to determine if your child is ready for scuba diving is to try a Bubblemaker program. Children eight or older hop in the pool (or pool-like environment) with a PADI Professional and find out what it’s like to wear scuba gear and breathe off a tank. The max depth for this experience is two meters/ six feet. 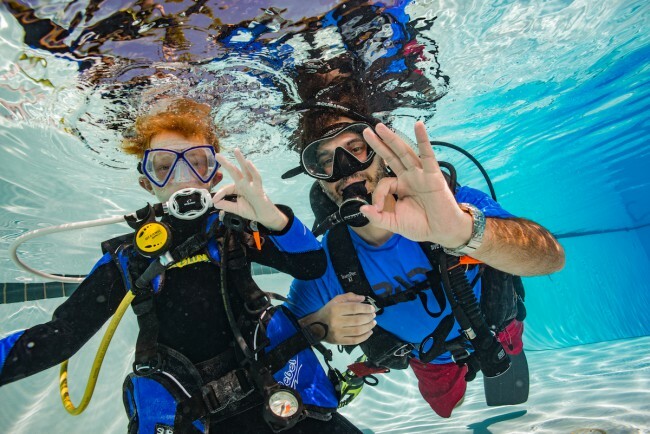 PADI’s Seal Team program is a more extensive pool program for kids eight and older that covers basic scuba diving skills while incorporating fun activities like taking underwater photos, practicing buoyancy and learning environmental awareness. 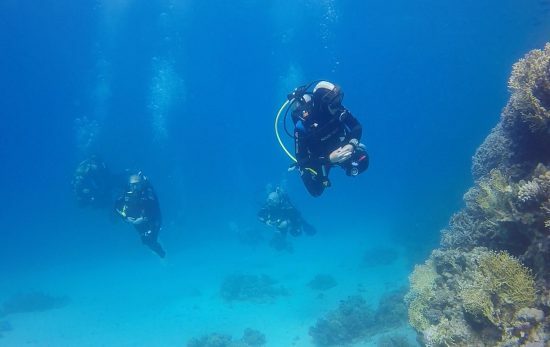 PADI’s Junior Open Water Diver course is similar to the adult certification program and prepares kids ten or older to become full-fledged divers when they turn fifteen. Junior Open Water students complete the same skills as adult open water students (with some depth limitations) and utilize the same study materials (Open Water Diver course online, or the PADI Open Water manual and DVD for those under 13). Read Sport Diver magazine’s Top 5 Family Dive Vacation Destinations and the World’s Best Dives for Kids and Teens. Find a PADI Dive Shop or Resort near you or in the area where you’ll be traveling. Still trying to convince the kiddos to enjoy the water? Check out these 3 ways to teach kids to love the water.